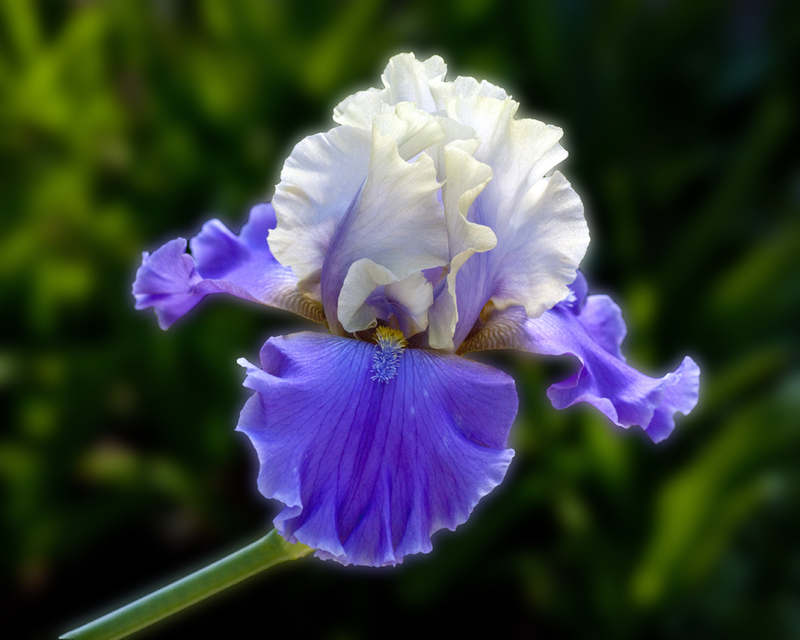 The name of this particular iris in ‘In Your Dreams’… very appropriate. This is the most beautiful iris that I’ve ever seen. 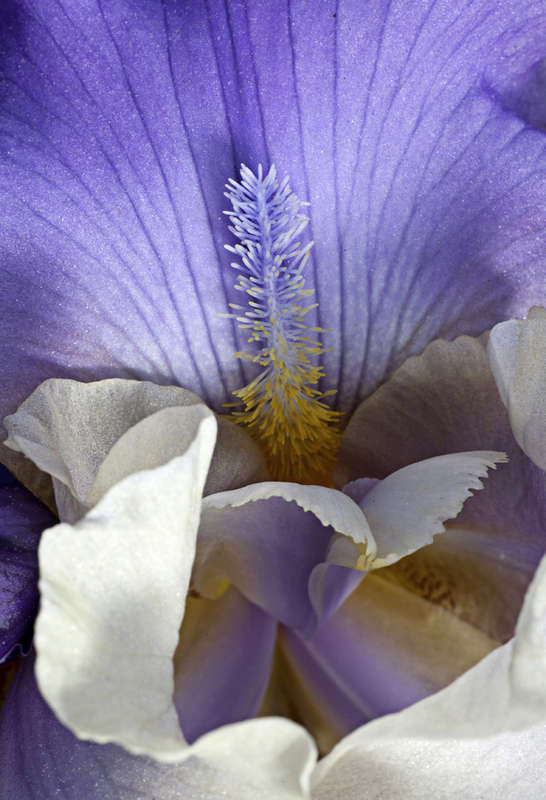 It is a tall bearded iris located near the education building at the Raulston Arboretum in Raleigh, NC. After the recent cold nights, two of the blooms were laying on the ground but many are still standing tall and beautiful. Irises need a lot of depth-of-field for sharp focus… and ideally no wind. I used a large diffuser to block the sun and wind, and a silver reflector on this one to add light. For this shot I was down on the ground, tripod legs spread wide, ISO increased to 8OO to get f/20 on my Tamron 90mm macro lens. Well worth the effort. 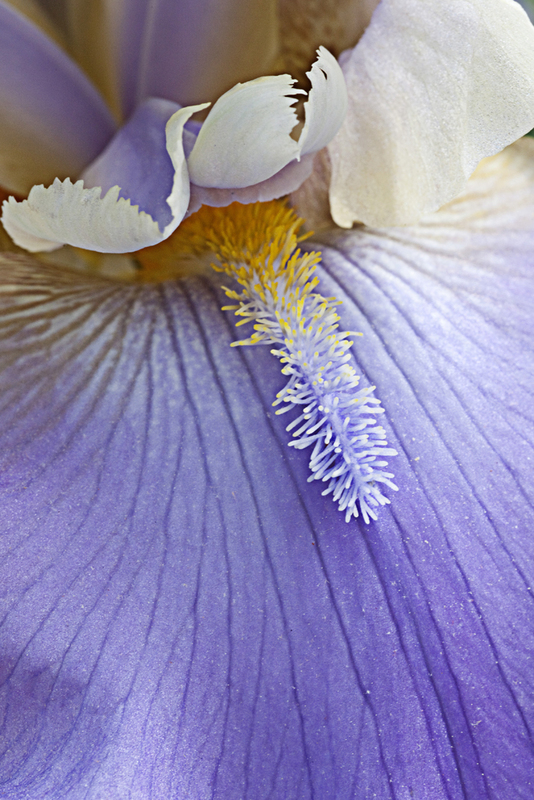 This entry was posted in Camera Technique, Uncategorized and tagged flowers, iris, Macro. Bookmark the permalink. Beautiful Susan! I tried capturing an iris last year with not nearly as much success. I’d like to see the picture of you down on the ground while framing this up 🙂 … thanks again for Tuesday night’s meeting. Loved it.